The two companies will work together in the field of ammunition, amongst others, with projected minimum requirement of Rs 20,000 crore over the next 10 years from Indian armed forces, the joint-statement said. Anil D. Ambani, Chairman Reliance Group, after his meeting with Serbia President Aleksandar Vucic, announced the partnership with Yugoimport covering wide areas of cooperation in the defence sector. Among others present in the meeting were Serbia Defence Minister Zoran Dordevic; Assistant Minister of Defence Nenad Moloradovic, and CEO of Yugoimport. Given the large Indian market size, economies of scale offer option for exports, the statement said. The Indian government recently issued eight requests for proposal for different grade of ammunition, opening the field to the private sector for the first time. "Proposal envisages transfer of technology by the original equipment manufacturers (OEMs) and indigenous manufacturing in India," the statement said. It said, Reliance Defence Ammunition will also undertake joint development of next generation ammunition to meet the future requirements of the Indian armed forces. 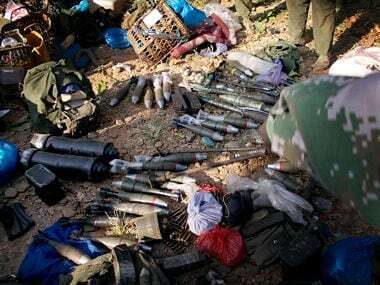 India currently imports nearly 50 per cent of its ammunition requirements by value term, with an annual spending of more than Rs 10,000 crore. With new inductions of air defence and artillery guns, this requirement is likely to increase.